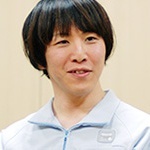 Kawamoto is native resident of Japan. After graduating from the Kyushu Institute of Technology, he officially joined Nintendo in 1997, initially working as a Computer Programmer for the Entertainment Analysis & Development Division. His fist prize work upon joining the company was programming many of the mini-games in the Mario Artist series for the Nintendo 64DD, that lead to the inspiration behind the WarioWare franchise.